While “going off the grid” is not a new term, microgrids are finding new footholds in a changing utilities industry. Recently, more and more cities and states are turning to microgrids not only as highly effective ways of increasing energy resiliency, but also as pragmatic and cost effective strategies for shifting population densities and energy consumption behaviors. Below, we’ve gather some of the top recent headlines on the changing microgrid landscape. Microgrids have long been viewed as an excellent tactic for supplying power to rural areas and island communities. However, recent data shows that microgrids may be expanding. This article from the Motley Fool, notes that governments and correctional facilities are turning to micrograms as viable options for emergency backup power. Another area where microgrids are seeing growth is in use for growing suburbs and rural areas. In the past, power companies has to build costly new transmission lines to service growing population areas, lines which may only be used during peak demand for a few hours a year. By leveraging microgrids, energy companies can build cost effective solutions for dealing with rare power consumption spikes. A recent article from Electric Light & Power notes that there are developing plans to build 13 microgrids across the state of New Jersey to increase the areas energy resiliency and better prepare the state for emergency situations. The effort, spearheaded by New Jersey Board of Public Utilities President Richard S. Mroz, has been prioritized in the wake of the devastation caused by Hurricane Sandy, during which many areas were left without electricity and running water for weeks on end. One of the proposed microgrids in downtown Trenton would connect several important government buildings, helping keep the cities most essential resources up and running even during emergency situations. In the stretch of land between the city of Denver and its airport, a new town is being built that will rely solely on a microgrid for power — and it will be completely carbon free. The city, called Peña Station Next, will rely primarily on solar energy and is receiving large financial support from the city of Denver. As reported in this article from The Scientific American, the city will rely “mainly on solar energy, a king-sized lithium-ion battery and various energy efficiency schemes” for its power. Will Battery Tech Change Microgrid Strategies? Batteries are getting bigger — so what does that mean for microgrids? As noted in this article from Teslarati.com, Neoen and Tesla recently announced the creation of a 100MW/129MWh battery adjacent to the Hornsdale wind-farm in South Australia. One of the claims Tesla had in building the battery is that the company could make money by providing off-the-grid backup power. According to the article, however, this might not be so simple. Bruce Miller, a principal consultant for Advisian, says the 80-minute discharge time for Tesla’s system isn’t in line with 10-megawatt- and 20-megawatt-hour systems that could produce $2.1 million a year from supplying backup energy. Brooklyn, the dense suburb of New York City, is one of a growing list of major population centers to explore microgrids. 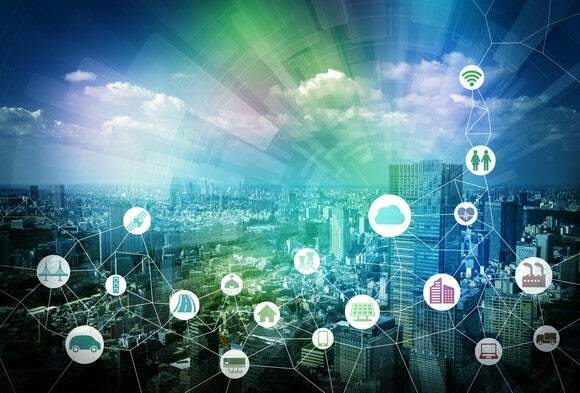 As noted in this article from Green Biz, Brooklyn is exploring a strategy where a virtual web of buildings whose owners can buy and sell power to each other using blockchain technology to manage the transactions. Currently, the program has hundreds of participants signed up, and users will ultimately be able to control their participation through the use of an app. With more governments and power companies exploring the promise of microgrids, it may only be a matter of time before a microgrid is a viable primary or emergency energy option for many. Where do you see microgrids growing next?